Android 8 Android O Android Oreo firmware update Galaxy S8 Galaxy S8+ samsung Samsung Galaxy S8/S8+ get Oreo! 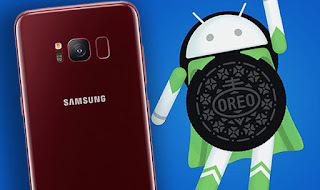 Samsung Galaxy S8/S8+ get Oreo! So, we're hearing all these rumblings about Android P (yes, I know, I'll get to a post about it soon), but there's still plenty of devices that DON'T have Android O on them yet. Well, Samsung's flagship from last year is no longer one of the group who's missing out.